Piltover came out ahead in today’s Featured Matches. Their roster is already “eclectic” to say the least, but rules are rules: they rolled a 10 on their d10 roll for prize, and therefore they are entitled to a new Champion. As part of the Piltover–Bandle City Alliance, Piltover and Bandle City are collaborating on the Yordle Submarines project. The goal of this project is to create yordle-sized submersibles that can be used to help search for Fizz’s lost civilization, ancient kin of the yordlefolk. 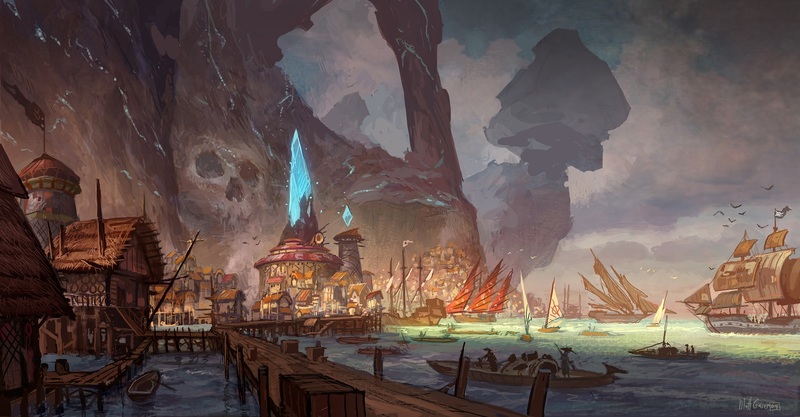 Piltover is bringing in a consultant from Bilgewater. Select which one here. Update: Piltover has selected Nautilus, who comes to them seeking answers about his origins.